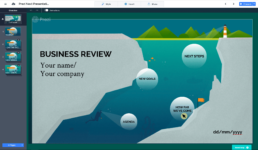 Prezi Next is a new presentation tool from Prezi. 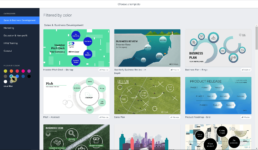 It’s very similar to classic Prezi. However, the classic version works on Adobe Flash software, which is regarded as unsafe with lots of performance issues. On the other side, Prezi Next runs on HTML5. 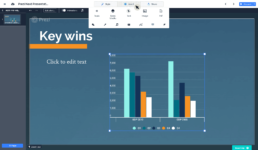 This allows it to be taken to the next level and could lead to a lot of new features that could be added to the presentation software. 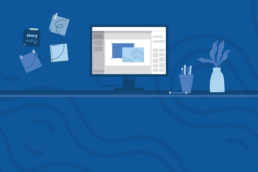 Let’s take an overview for some of the features that Prezi Next has to offer. 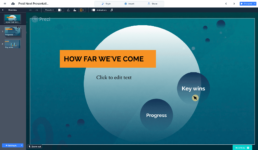 Click New Presentation and choose one of these Prezi templates. If you have another idea, or you have a brand that needs a specific style you can create your own from scratch by clicking on general blank presentation. After you choose a template, you can customize your slides by changing the theme colors, background colors or the image. Each template has topics on the canvas which you can edit. Think of these shapes as your main topics. Even more, use them to structure your presentation so that they help you tell your story. For example, you can create a topic with the name “About company”. 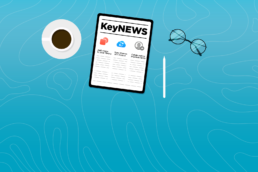 When you zoom inside the topics you can add your content in subtopics and when you zoom outside the topic back to the presentation overview, none of the content inside the topic is visible. They are revealed when you enter a topic, so your content remains hidden until you’re ready to show that particular information. They are two types of different styles – Planet or Stack. However, If you want to add more subtopics click on + Subtopic on the bottom left and choose a style. You can move freely through your presentation choosing on which topics to focus. This is the so-called conversational presentation. Even more, you can also use your mobile phone as a clicker, that allows you to present anywhere. 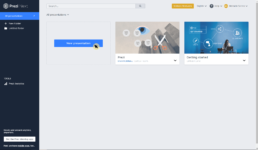 This is a new feature in Prezi Next. Depending on your plan you will also have access to Prezi Analytics. Furthermore, you can see who is viewing your presentation, how many times, how long they watched it, who was it shared with and which parts interested them the most.